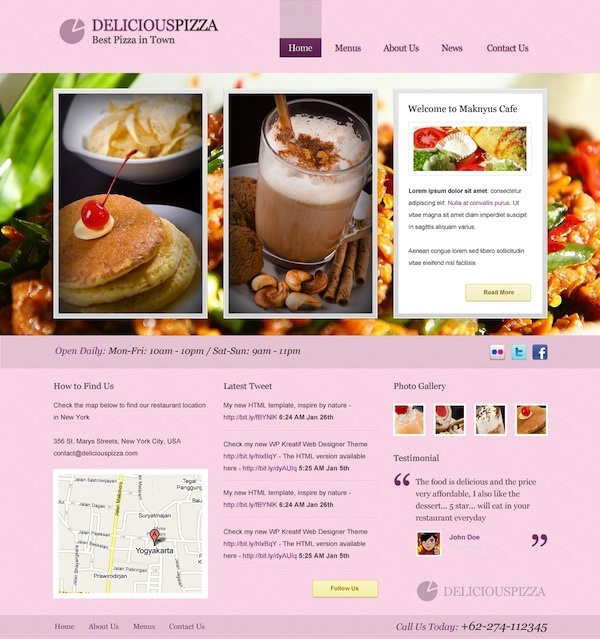 Green Delicious Restaurant template has 3 variations color (Blue, Green and Brown). You can use it for anything especially for Restaurant or Cafe. This template only for WordPress 3+.